In 1970, Swami Janakananda returned from India and founded the Scandinavian Yoga and Meditation School. After using yoga for many years to obtain increased creativity with theatre and painting, for well-being and as a means to discover more about himself, Swami Janakananda was inspired by his teacher Swami Satyananda to share his experience with others. It all began in the summer of 1970, in a little shop in Østerbro, Copenhagen. The school grew quickly, people moved in to become yoga teachers and/or get a closer contact with the spiritual side of life. Already after a year, it was necessary to move to larger premises. 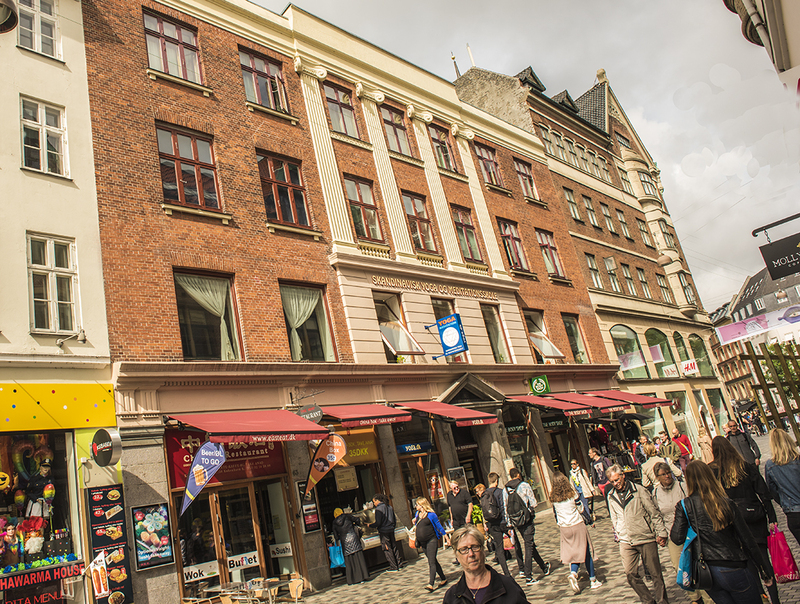 The choice fell on a villa in Hellerup, a suburb of Copenhagen, and in 1974, when this also became too small, the school moved to a large building in central Copenhagen – and was made a ‘self owned institution’ which is the closest you can get to a non-profit organisation in Denmark. The school is still there – it is an active centre for yoga and meditation, with 5 large halls for teaching, a shop, a lay-out studio (nowadays computer room) and a large ashram with accommodation for the yoga teachers. Very soon, the teachers started looking for a place to have intensive retreats, and in 1972 Haa International Retreat Center (then Haa Course Center) was founded, beautifully situated in southern Sweden, about 150 km north of Copenhagen. Right from the beginning, people came to Haa from Scandinavia, other parts of Europe, USA, Australia, even India and elsewhere, to discover their potential, obtain perspective, insight and energy. Haa Retreat Center became a spiritual power center, where we build bridges between the inner and the outer life. The magazine Bindu appeared in Danish already in 1971, with Swami Janakananda as the driving force. He wrote the book “Yoga, Tantra and Meditation in Daily Life” in 1975; in 1978, it was published in English, and has been republished in an expanded and revised edition several times. It has now been translated into 8 languages. The CD with the deep relaxation “Experience Yoga Nidra” was released in English in 1983. 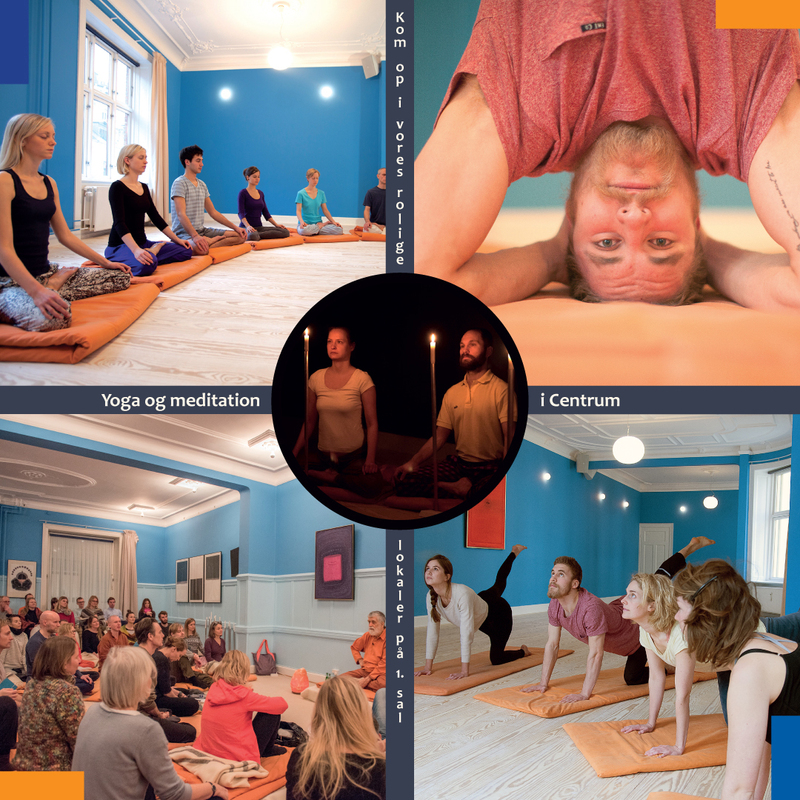 In 1977, the school organised an international yoga congress in Stockholm, Meditation Yoga 77, with participants from all over the world. Apart from Swami Satyananda, who during those years, often visited the school; yogis came from India, Europe and the USA. Yoga teachers and pupils, artists, psychologists, sociologists, musicians, people from the film world, philosophers and therapists met and received inspiration, attended courses, lectures, meditations and concerts. The first English issue of the magazine Bindu was published in 1981. 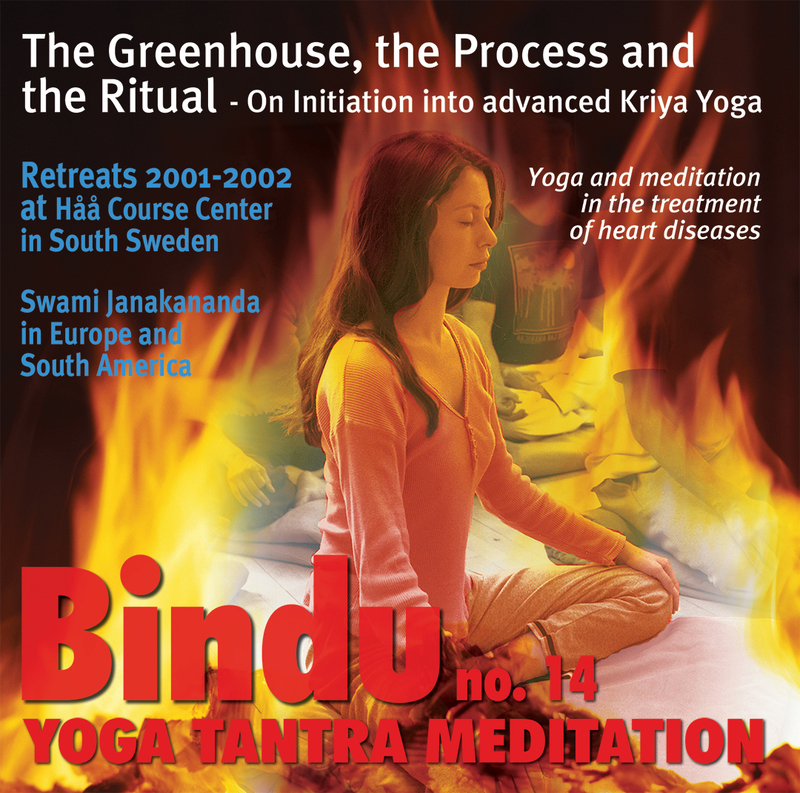 Eventually, the Bindu magazine became part of our webpages. Now all articles, new and old can be found in the ‘Reading Room’ on this site. In the near future, we will translate articles that have not been available in English. Swami Janakananda is the leader of the school’s comprehensive yoga teacher education, a process that gives a stable personal experience of Tantric yoga and meditation. Besides training yoga teachers, he teaches at the annual 3-Month Sadhana Retreat and the 1-month Kriya Yoga Retreat at Haa Retreat Center. He also gives lectures, satsangs and meditation courses at the different city schools. From 1979, Swami Janakananda has travelled a lot, teaching in America, Australia, New Zealand, Singapore and around Europe. 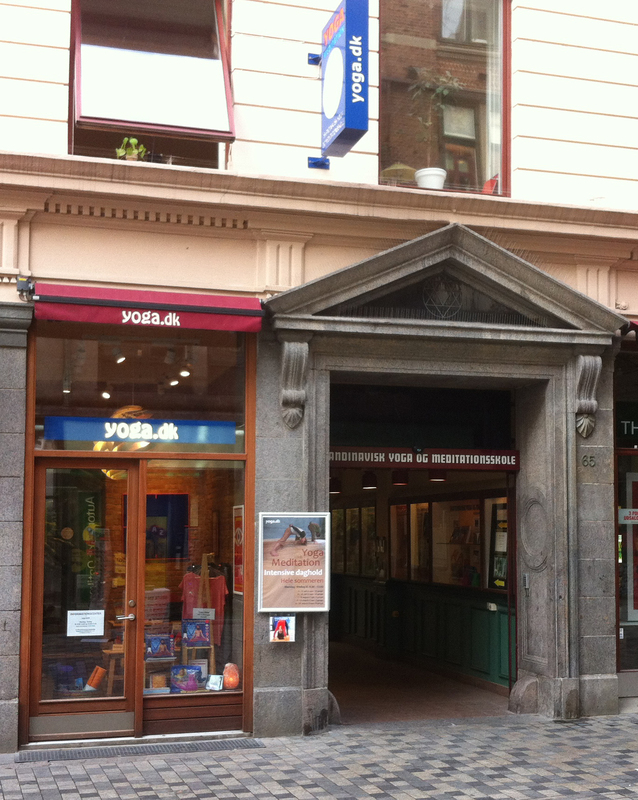 As the yoga teachers gained in experience and became independent, many chose to continue the co-operation with the school and founded new branches. Apart from the ordinary classes, the teachers of the school have taught in the most varied of places over the years: hospitals, sports clubs, associations and music festivals. Major companies and banks, health fairs, prisons and orchestras invite us to teach. We arrange courses on charter- and health tours to the Mediterranean and on holiday camps. Schools and other educational establishments frequently employ us for theoretical and practical introductions. 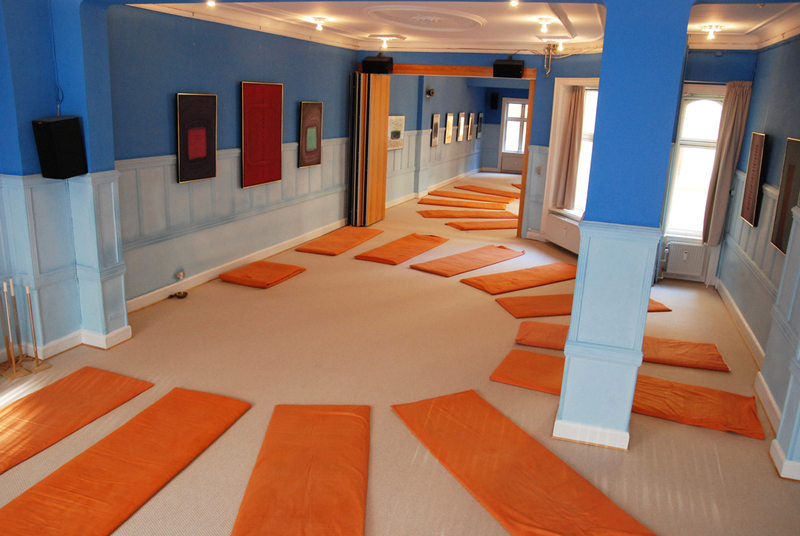 Swami Janakananda was one of the pioneers of the 1970 Poex art exhibition in Copenhagen and Århus, when meditative art, yoga and meditation could be experienced together for the first time in Denmark. The school has held art exhibitions on its premises on several occasions in the course of time. 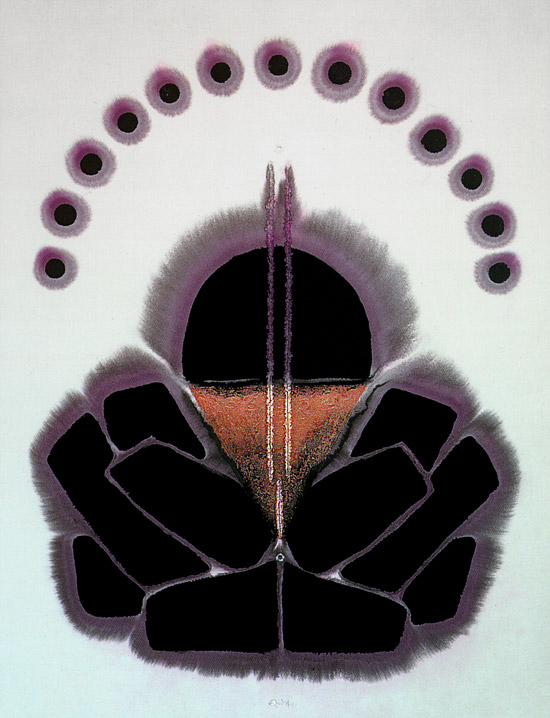 In the silver jubilee year, we opened the doors to an exhibition of meditative tantric art by the internationally recognised artist and tantric, Sohan Qadri (see the articles Yogini and You must let yourself be swallowed up). He was born in north India and raised with the Tantric tradition, but lived most of his life in Copenhagen. 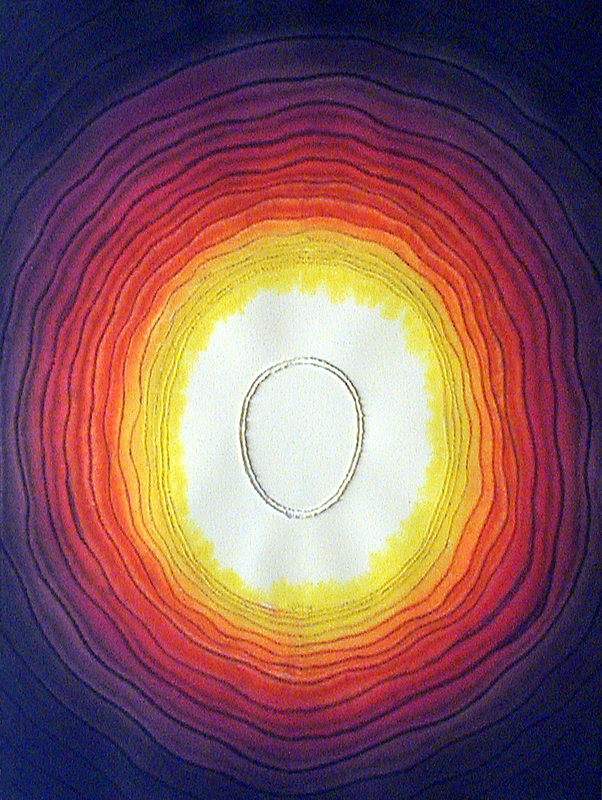 The art displayed in this article is by Sohan Qadri. We have permanent exhibitions of art (including Sohan Quadris) in Copenhagen and at Håå Retreat Center. to raise the teaching of yoga to a level where it is free of all superstition and with no extras attached; based on a profound knowledge that stems from the sources of the tradition, personal experience, communication between teacher and student, and the research of modern psychology and medicine. to be able to offer a practical yoga ranging from physical and mental well-being to spiritual insight, which, among others, C.G. Jung calls for in our culture, where man does not live superficially, but has a creative and conscious relationship to all of himself and to life around him. to be an independent school where people can come and go as they like, with no attachment other than the teaching they participate in. to offer a ‘spiritual workshop’, an ashram; a protected, creative and inspiring environment, a place where people, during a longer or shorter period of their life, can live and work while doing yoga and meditation in company and alone – and can be trained to become yoga teachers if they wish.